Tibet's GDP was estimated at more than 140 billion yuan (21 billion U.S. dollars) last year, Qizhala, chairman of the regional government, said in his government work report delivered Thursday at the second session of the 11th People's Congress of Tibet Autonomous Region. It is the 26th straight year that Tibet has recorded double-digit GDP growth. The region reported 10-percent GDP growth in 2017. In the report, Qizhala said that Tibet has "made decisive progress" in the battle against poverty, with 180,000 people lifted out of poverty. A total of 14.49 billion yuan was allocated to help 218,000 people relocate to help them live better lives, he said. Meanwhile, credit spending expanded, with 368 billion yuan of loans granted to companies, up 20 percent year on year. Small and micro-sized companies, agriculture, anti-poverty projects, private businesses and startup entrepreneurs benefited from the loans. Qizhala added that last year, construction began on nine of 24 key projects in Tibet, drawing investment of 44.6 billion yuan. 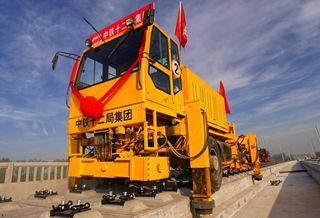 Major industries like tourism, clean energy and border logistics all contributed to high-quality growth in the region, in addition to a series of projects that support the development of Tibet, he said.